I often reflect on the many traditions that come along with this time of year. Growing up as a child we would bake teddy bear bread and gingerbread houses and go door to door singing Christmas carols. It has always been a time of slow down and family fun. As I’ve gotten older and now have my own family it’s been fun to create new traditions and rituals of our own. This year I was inspired by a patient who told me that she creates her own Advent Calendar every year of things that they can do as a family. I love this idea so much that my family and I are doing this as well! In case you are looking for some fun family things to do or want to create a calendar or your own I am sharing our running list with you! But before I do, one other thing I have been reflecting on is how much I love community and connection. Recently I have taken up knitting and crocheting and it’s been so much fun! As I’ve been sharing I have learned that you, The Cap Wellness Community is full of want-to-be and experienced knitters/crocheters. I am a strong believer that making things and doing it with others contributes to our health and well being. And so, I would love to host an ongoing (no cost) community group where we can connect, share, learn, grow and make. If this is a success and there is a lot of interest I would love to donate our wears (at some point) to places such as the NICU’s, and women and mamas in need. If this is something you are interested in (no experience necessary) please hit this link to be added to the list and I will let you know when our first meet up is. Feel free to share this list with other friends and family, the more the merrier. 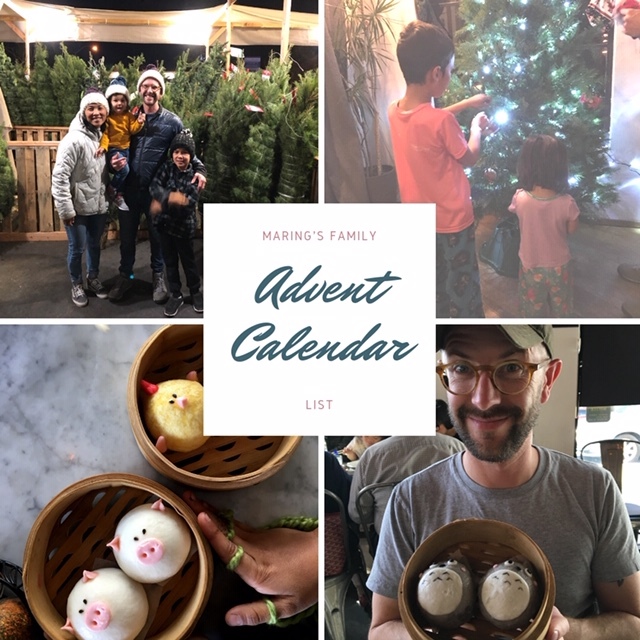 Now, here is our Family advent calendar list. If you have any great suggestions please hit reply I’d love to add to our list.